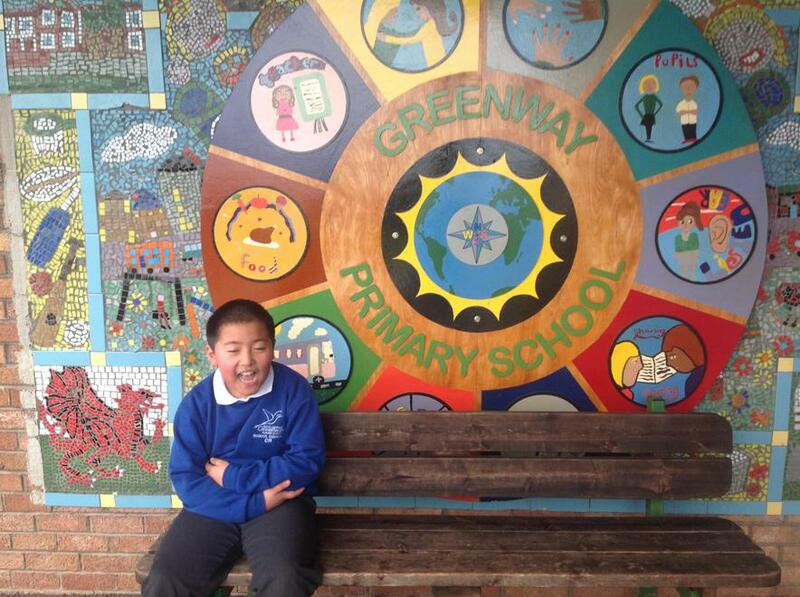 Greenway took part in Odd Socks Day to raise awareness about bullying! 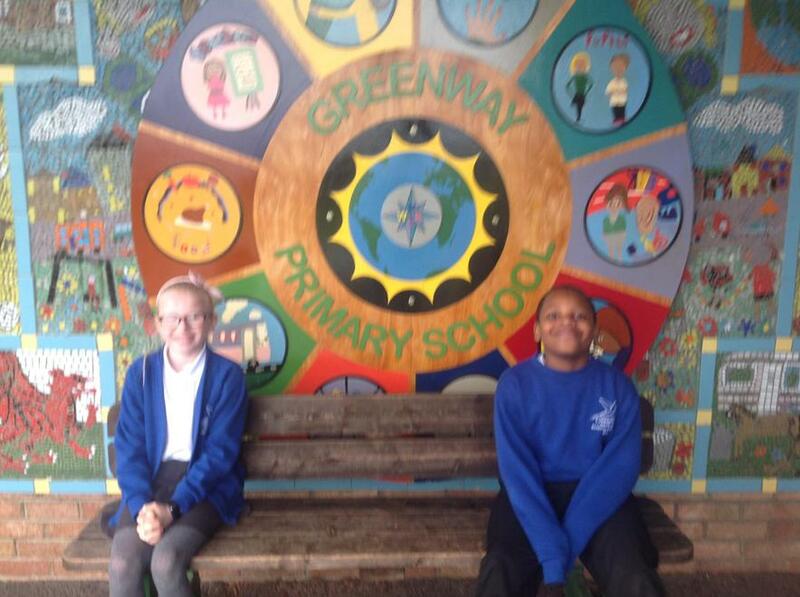 The School Council representatives were elected by their class. 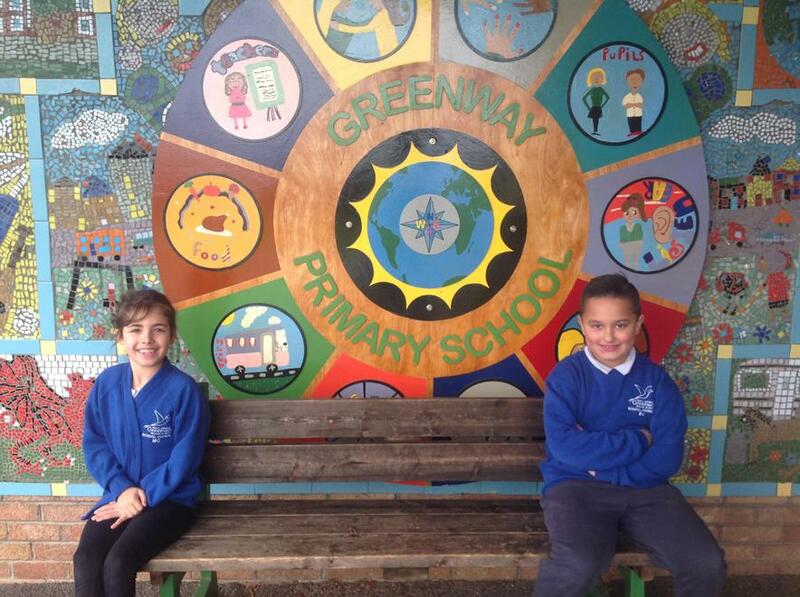 We have meetings once every two weeks to discuss ideas to make Greenway even better and help raise money for local and national charities. We will be tweeting after every meeting to keep everyone up to date with what is going on. The minutes of meetings and a newsletter is on display for all the children to see! Keep checking this page for updates and to see what we are doing! 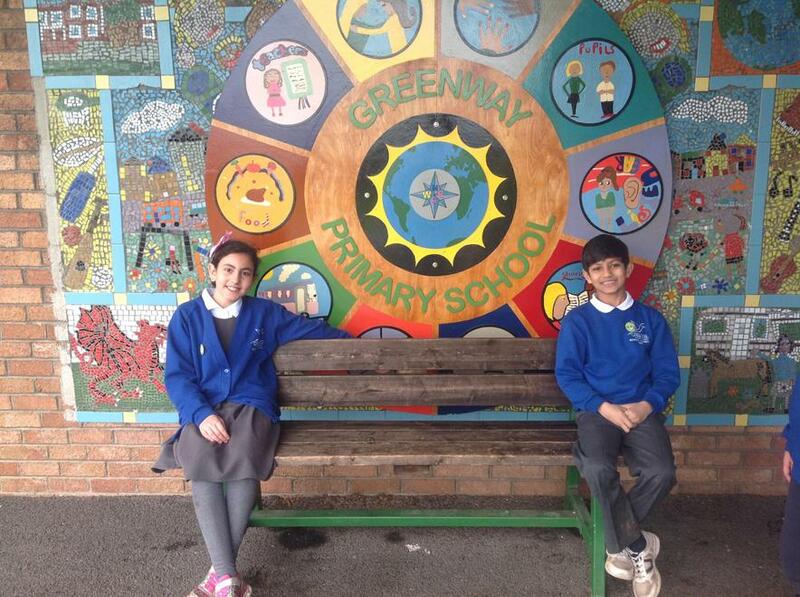 Here is our Chairperson and Secretary! We wear a blue jumper so children in the school know who the school council members are! Thank you to all the children and families who donated cakes & paid to dress up in yellow and spots. We raised a fantastic £268! Red Nose Day 2017 - We raised £431! 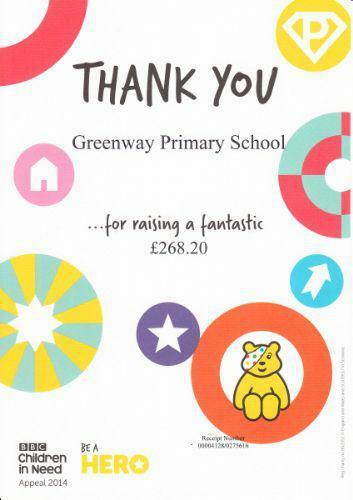 Pudsey Bear came to visit Greenway this year and we raised £236. Well done everyone! 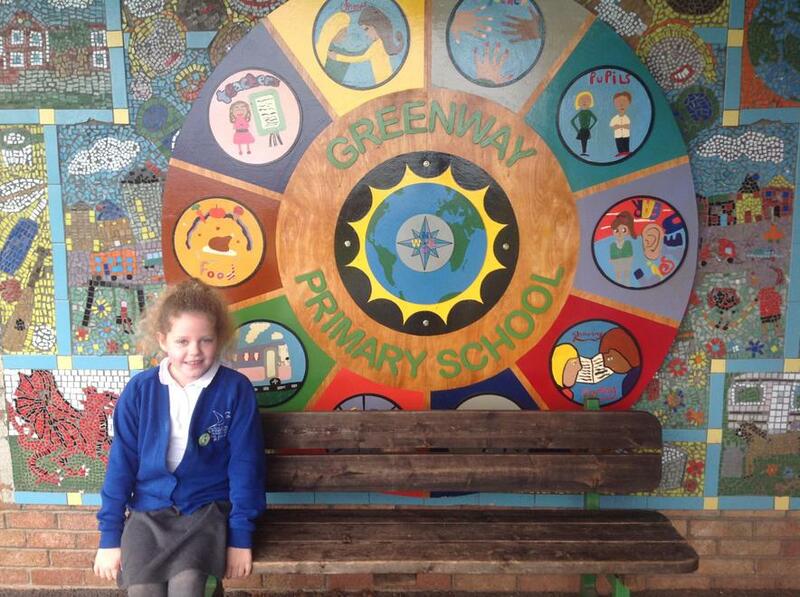 Well done Greenway. We raised an amazing £308! 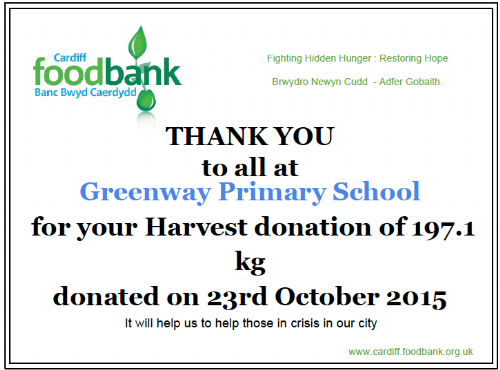 The school council took all your food donations to Cardiff Foodbank Friday 23rd October. Altogether there was 197.1kg of food. Well done and thank you to everyone who donated! Thank you all for donating £1 to dress up and for donating cakes to sell. We raised an amazing £268.20! That's the most we have ever raised for Children in Need, you are brilliant, Thanks!!! 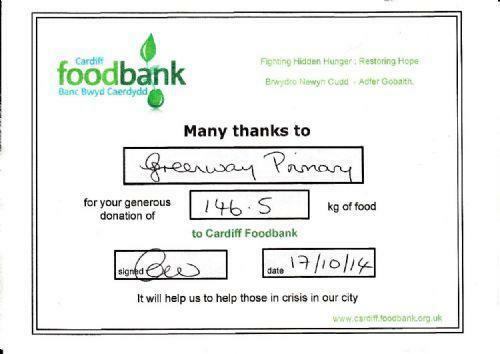 The school council took all your food donations to Cardiff Foodbank Friday 17th October. Altogether there was 146.5kg of food. Well done and thank you to everyone who donated! We took all your contributions to 'Rags to Riches' and raised £117.26 for our school. Thank you for helping us recycle and raise funds at the same time. We raised a fantastic £140 by wearing red and having crazy hair. In the afternoon we had a talent show. Thank you and congratulations to everyone who took part.